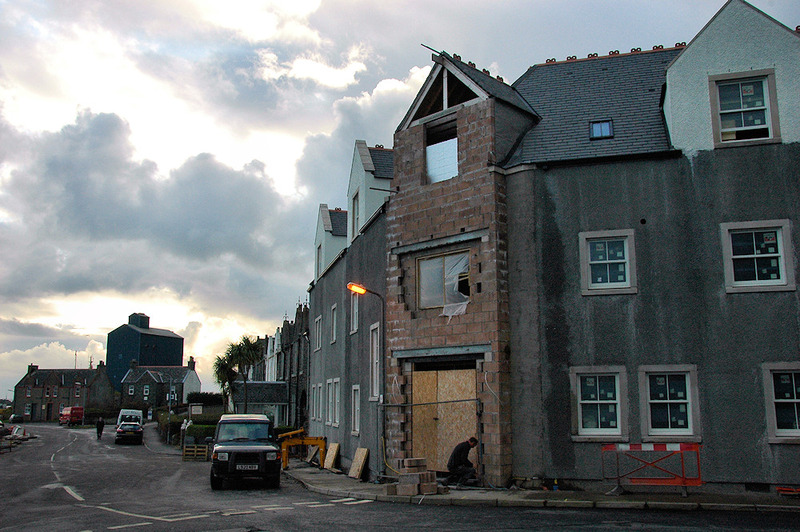 An older picture from the rebuilding project of the Islay Hotel in Port Ellen a few years ago. A worker is shutting the building site for the weekend. The hotel is now finished and open for business, seven days a week. No more finishing for the weekend. This entry was posted in Cloudy Weather, Repost, Village and tagged Islay, Islay Hotel, Port Ellen by Armin Grewe. Bookmark the permalink.